يقع فندق كوزواي في منطقة مشهورة للغاية في المدينة. هذا الفندق هو من الخيارات الشائع بين المسافرين. يقع الفندق على بعد 0 km من مركز المدينة، ويؤمن الوصول إلى أهم مراكز المدينة. يوجد العديد من المعالم السياحية الأكثر جذبًا للسياح في هذه المنطقة. كما يقدم فندق كوزواي الكثير من الخدمات لإغناء رحلتك في المدينة. يمكن الاستمتاع بمجموعة من الخدمات على أعلى المستويات في الفندق كمثل واي فاي مجاني في جميع الغرف, خدمة غسيل ذاتية, خدمة التنظيف يوميًا, خدمة سيارات الأجرة, مجهز لذوي الإحتياجات الخاصة. بالإضافة لهذا، تتضمن كل غرف الضيوف مجموعة واسعة من وسائل الراحة . بعض الغرف توفر حتى تلفزيون بشاشة مسطحة, مرآة, شباشب, صوفا, مناشف لإرضاء أكثر الضيوف تطلبًا. صممت خدمات الاستجمام في الفندق والتي تتضمن مركز للياقة البدنية, غرفة بخار لمساعدتك على الاسترخاء والراحة. مهما كانت دواعي سفرك فإن فندق كوزواي هو خيار ممتاز لإقامتك في المدينة. يرجى العلم أن فندق كوزواي هو فندق لغير المدخنين. وسيتم فرض رسوم في حالة خرق سياسة عدم التدخين. يرجى العلم أنه قد يتم حجز مبلغ من البطاقة الائتمانية يساوي قيمة الليلة الأولى، وذلك قبل الوصول إلى العقار. سينفذ الفندق التفويض المسبق لرقم البطاقة الائتمانية الذي تم تقديمه أثناء عملية الحجز قبل تاريخ الوصول بسبعة أيام. إذا كانت بطاقة الائتمان غير صالحة أثناء التفويض المسبق، فربما يتم الاتصال بك لتقديم رقم بطاقة ائتمان بديل. يجب على النزلاء تقديم بطاقة ائتمان صالحة لأغراض التفويض المسبق. يضم مكان الإقامة مساحات مخفضة لوقوف السيارات مع Wilson’s Galleria في زاوية Little Collins و Elizabeth Streets و Greenco Parking في شارع 180 Russell. الحد المسموح به لارتفاع السيارات في مكان انتظار السيارات هو متران. لمعرفة الاتجاهات وساعات العمل المفتوحة والأسعار، يرجى الاتصال بمكان الإقامة مباشرة. Location is great. TV a bit slow. Shower OK. Bed and fresh air and air con was really good. Had the basics for a motel room. Friendly staff and clean room. Love the free drinks area. We stayed here as a mother and young son. The welcome was lovely and friendly. The twin room was quiet and comfortable. The location was perfect for the appointments we had to attend. I would stay again. 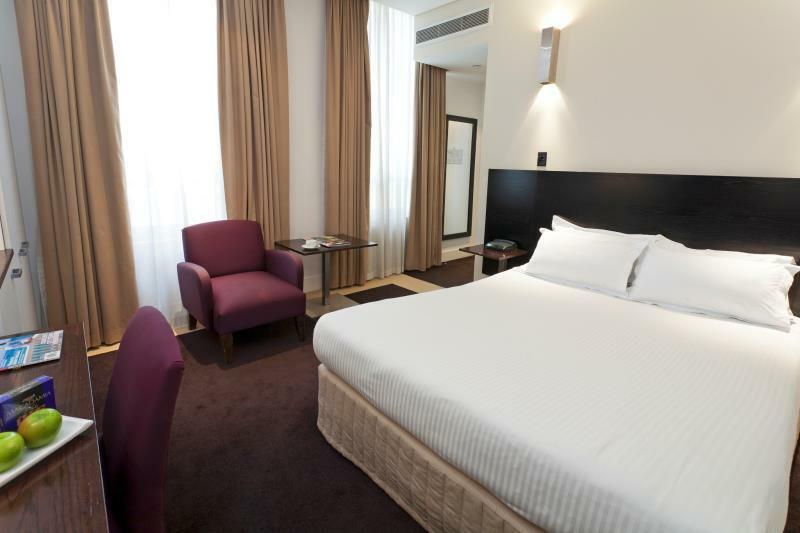 This is a great value hotel in a great Central CBD location. Whilst it is a bit older everything was functional and the bed was extremely comfortable. And the Continental Breakfast was great and had all that you would require to start off a new day. I'll be back. 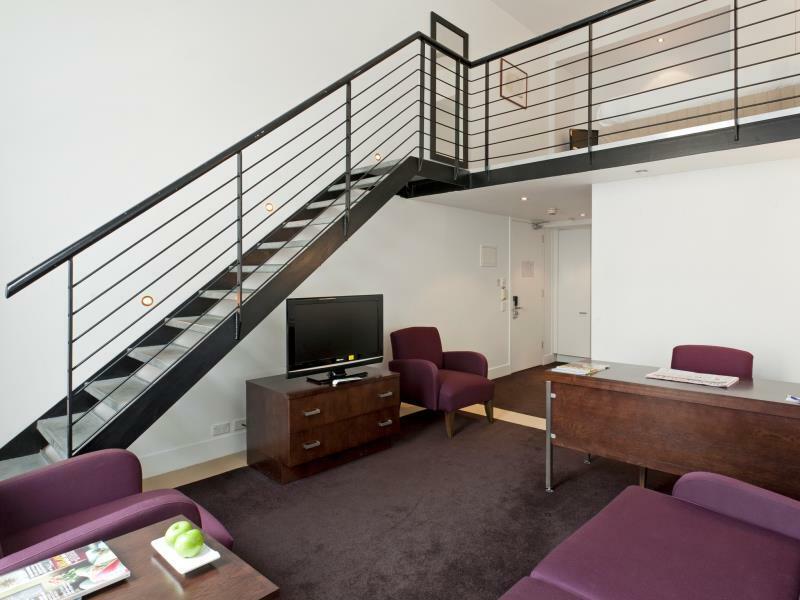 Great area to stay, right in those wonderful allies full of chocolate shops, graffiti and designer clothes. Great bath tub. Only, there are three hotels with this name and part of the same company, in the same area, and we almost went home to the wrong one! Right smack in the middle of CBD. 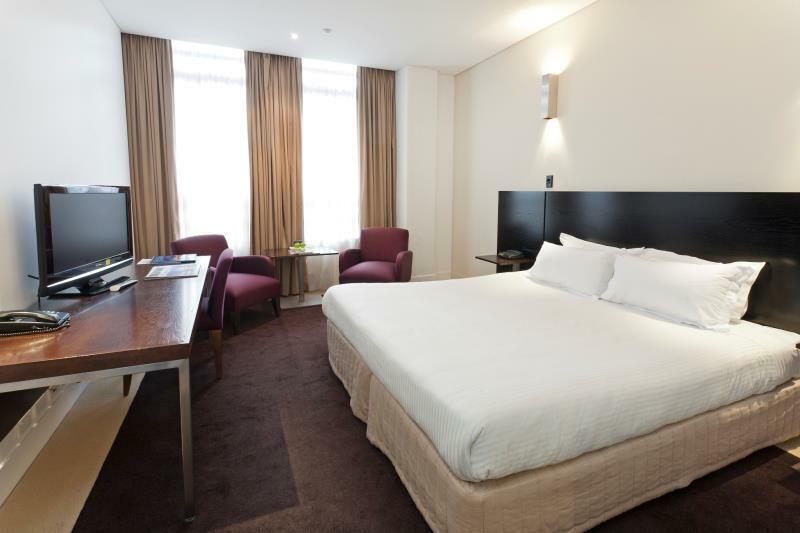 Very convenient as Cafes/Attractions/Shopping Malls are within 5-15 min walking distance. Room is quite small though and facilities are very basic. Good enough if you're out most of the day! 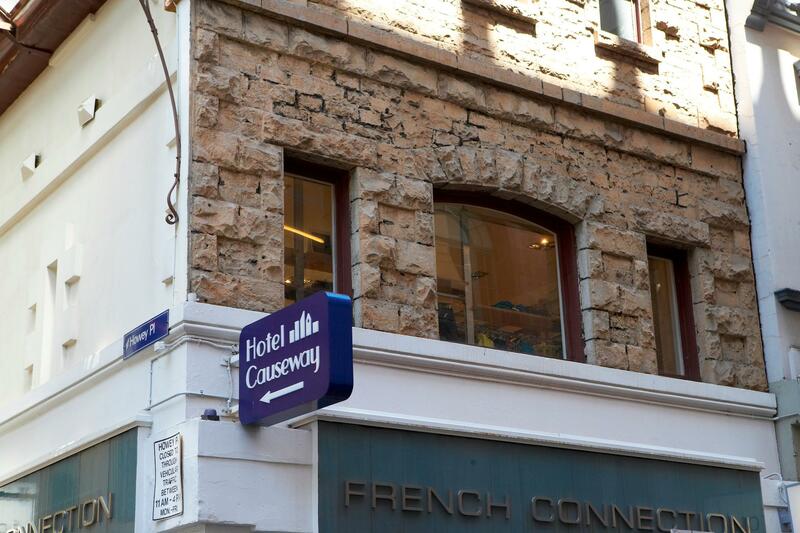 I did not stay at the Causeway Hotel as I cancelled my booking in September but when I realised my booking hadnt been cancelled I tried to locate my email but could not find it as I had deleted it and as I am86 years old am not as agile with the internet as a younger person. I stayed at Causeway 353 which I suppose means I have paid fo 2 hotels whilst only staying at one. Robe had make up on and the spa bath had a ring around it which looked like from previous use. There was a few of us that stayed there. My daughter's room air con did not work so they put her in another room and gave her an upgrade which needed quite a bit of maintenance. 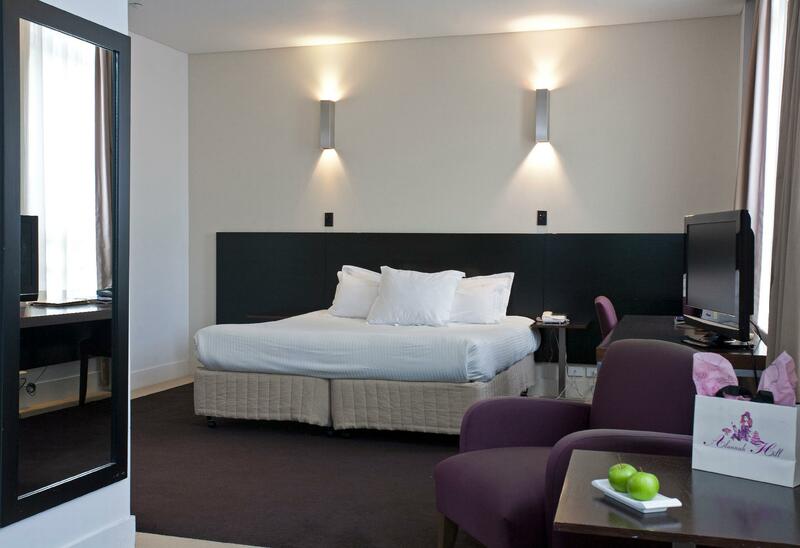 Overall our stay was enjoyable and the staff was very helpful and friendly. Breakfast was very average. Location was most valuable factor with this hotel. It was right smack in the city central and was within walking distance to almost all the main city sights. However, this hotel was very basic. Breakfast was not much to laud about with mainly toast, fruits and cereals. It is mainly suited for couples, adults and not families as it literally had no amenities. I arrived really late at the hotel due to a night flight into Melbourne. I had emailed the hotel prior to my arrival regarding a late check in and everything was smoothly processed. Having arrived at the hotel really late into the night, the attendant patiently processed my check-in and even offered a late check-out so as to let me get some adequate sleep (since i only checked in midnight and to check out the following day). all in all amazing services!! This is my third time staying with hotel causeway, they are constantly top on my list because of their location and affordibility. Their Rooms, toilet facility and amenities are basic. However, their bed and pillows are comfortable for a good night rest. During the stay, our room door was faulty and will not let us exit. The hotel staff quickly got things sorted and we were shifted to the room next door. What really draws us back as a repeated stayer is how conveniently located they are. Tram stops to different suburbs are within walking proximity (less than 5 mins), David jones is right across the hotel, walk through DJ and you are at the heart of the city. Abundance of great restaurants located nearby. We came back past midnight for a couple of nights during the stay and it was safe. The nearby streets were not rowdy. 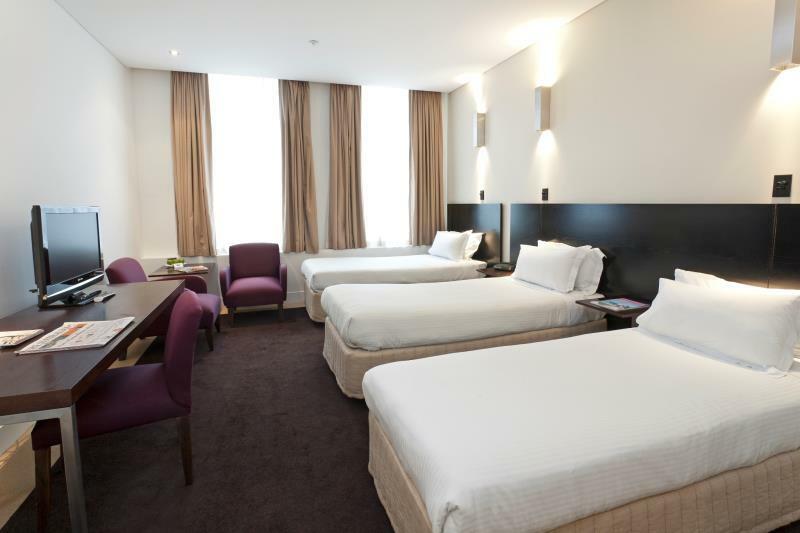 If we were to revisit Melbourne, hotel causeway will still be my choice for stay! Perfect location, however my debit card has been pre-auth without clear explanation during check-in, which full payment has been made upon arrival. Still waiting for the $50 to be released back into my account. Fantastic location, just walk through the back entry and David Jones and you're in the shopping district. Breakfast was good but would have been nice to also have a hot option. The staff were so friendly every time we walked in the hotel and it was a great stay. The rooms could use a few touch ups but did not make any difference to the stay. My stay was comfortable and it was an ideal location. 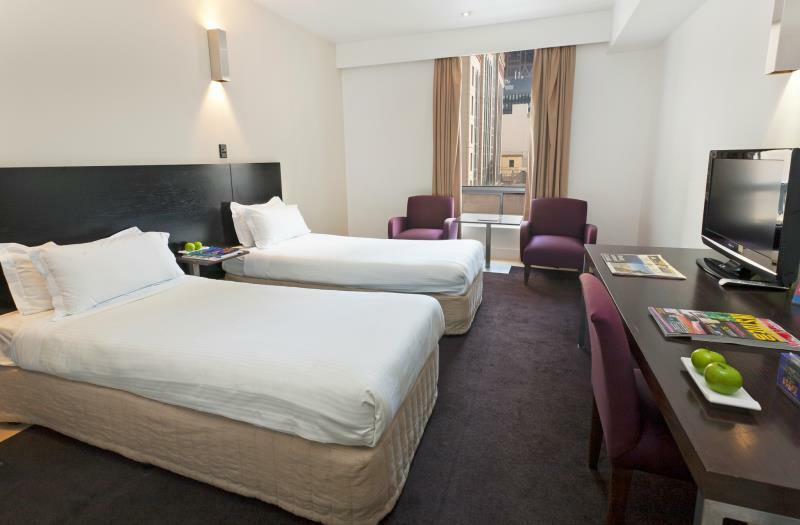 The hotel was ideally located on Little Collins street and it had access via the laneway to Bourke Street Mall + trams on Swanston Street. The room was spacious and had a good Wifi plan that was $24 for 3 days.. very reasonable compared to other hotels. Booked a rate with continental breakfast and it provided the basics although there are cafes on your doorstep if you prefer a full/gourmet breakfast.